The Hyunmoo-2B is a short-range, solid-fueled ballistic missile developed and deployed by South Korea. The missile has a standard range of 500 km, but can travel up to 800 km with a reduced payload. It entered service in 2009 and remains operational. Upon entering service, the Hyunmoo-2B had a reported range of 300 km, which was the range limit for ROK ballistic missiles at the time. 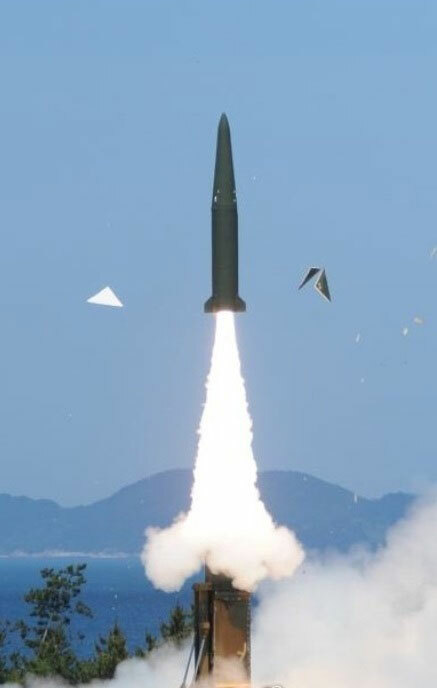 However, following the US-ROK agreement to extend ROK ballistic missile range limits from 300 to 800 km in September 2012, as well as some technical modifications to the missile, the Hyunmoo-2B became capable of striking targets up to 800 km away. Missile Defense Project, "Hyunmoo-2B," Missile Threat, Center for Strategic and International Studies, October 10, 2017, last modified June 15, 2018, https://missilethreat.csis.org/missile/hyunmoo-2b/. “South Korea: Missile,” Nuclear Threat Initiative, April 2016, http://www.nti.org/learn/countries/south-korea/delivery-systems/. “Design Characteristics of South Korea’s Ballistic and Cruise Missiles,” Nuclear Threat Initiative, November 2014, http://www.nti.org/media/pdfs/design_characteristics_of_south_korea_missiles.pdf?_=1415661529; Ibid. Franz-Stefan Gady, “South Korea to Develop Submarine-Launched Ballistic Missile,” The Diplomat, June 2, 2016, http://thediplomat.com/2016/06/south-korea-to-develop-submarine-launched-ballistic-missile/. “South Korea extending ballistic missile range to counter North’s threat,” Reuters, April 3, 2014, http://www.reuters.com/article/us-korea-missile/south-korea-extending-ballistic-missile-range-to-counter-norths-threat-idUSBREA3305H20140404.